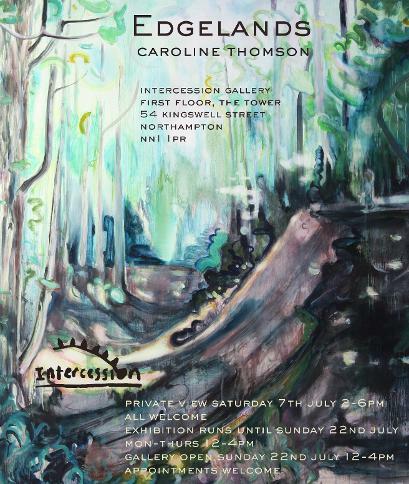 Edgelands presents a collection of paintings by Caroline Thomson that explores the notion of woods or parkland as a liminal spaces; the spaces that exist just beyond our daily domestic experience which act as a place of retreat, transformation or psychological threshold. The paintings, although based on photographs are painted in a quick and fluid manner, which enables a sense of place to become distorted to become something other as more abstracted elements are introduced. Figures, often the artist’s children appear or dissolve into the landscape echoing the transient nature of childhood and the slippery nature of motherhood. The resulting paintings seek to stand in for an emotional state, an inexplicable feeling or atmosphere. Caroline received her BA Honours degree in Fine Art: Painting from Kingston University before completing an MA in Fine Art from Chelsea College of Art (UAL). Her work is held in numerous private collections. She lives and works in South East London.